While the king has been a staunch supporter of his son despite previous controversies and his stance is unlikely to change, Prince Mohammed did not attend two of the most recent weekly meetings of cabinet ministers, which are headed by the king. The crown prince has also not attended other high-profile talks with visiting dignitaries, including one last week with the Russian foreign minister, Sergey Lavrov. Prince Mohammed also wasn’t present at a meeting with senior economic and finance officials earlier this week, a meeting between the king and the grand mufti, a meeting with the head of the World Health Organisation, and meetings with the prime minister of Lebanon, and ambassadors from India and China. Crown Prince Mohammed bin Salman , who was designated “deputy king” during the Egypt trip, as is customary, signed off two major personnel changes while the king, King Salman bin Abdulaziz Al Saud was away. They included the appointment of a female ambassador to the US, Princess Reema bint Bandar bin Sultan, and that of his full brother, Khalid bin Salman, to the ministry of defence. The latter appointment has further centralised power in one branch of the ruling family. Although the changes had been mooted for some time, the source said the announcement was made without the knowledge of the king, who was especially angered by what he believed was a premature move to elevate Prince Khalid to a more senior role. Royal appointments are almost always announced in the name of the king, but the 23 February decrees were signed by the “deputy king”. One expert said the title of deputy king had not been used in this way for decades. The king and his team learned about the reshuffle via television. The prince was not among those sent to welcome the king home. An official press release listing the guests at the airport in Riyadh confirmed Prince Mohammed was not among them, adding to speculation it was intended as a pointed snub to the crown prince. The crown prince has faced international condemnation over Khashoggi, who was killed and dismembered inside the Saudi consulate in Istanbul. The Saudi government has denied any involvement by the prince, who was found by the CIA to have ordered the killing. Pleased the Senate spoke with one voice this afternoon and overwhelmingly passed the joint resolution I authored to hold Crown Prince Mohammed bin Salman responsible for the murder of Jamal #Khashoggi. At G20: Trump later said he and the crown prince “had no discussion.” “We had no discussion. We might, but we had none,” Trump told reporters. Senior U.S. officials have indicated to Saudi courtiers that they would support Prince Ahmed, who was deputy interior minister for nearly 40 years. Prince Khalid bin Farhan al-Saud, who lives in exile in Germany, said that an opposition group has formed in Saudi Arabia with one goal: to unseat Crown Prince Mohammad bin Salman. Military personnel and assets have reportedly been moved from eastern and western Saudi Arabia to Riyadh while Crown Prince Mohammad bin Salman attends the G20 summit in Argentina. 11/27/18 02:11 PM EST it is possible that Trump and Crown Prince Mohammed bin Salman could speak informally on the sidelines of the summit, has no plans to formally meet with him. Algerian Energy Minister, Mustapha Guitouni, has officially confirmed the upcoming visit of the Crown Prince, Mohammad bin Salman, to Algeria without specifying the date. [December 2 2018] Saudi Crown Prince Mohammed bin Salman arrived in Algeria from Mauritania, resuming a tour of Arab countries after attending the G20 summit in Argentina. Germany has imposed European travel bans on 18 Saudi nationals believed to be connected to the killing of the Saudi journalist Jamal Khashoggi, the country’s foreign minister said on Monday. Heiko Maas told reporters in Brussels the ban was for the 26-nation Schengen zone and was issued in close coordination with France, which is part of the Schengen area, and the UK, which is not. Everything points to the Crown Prince of Saudi Arabia, MbS, ordering @washingtonpost journalist Jamal #Khashoggi's killing. The Trump administration should make a credible determination of responsibility before MbS executes the men who apparently carried out his orders. A travel ban has been imposed on a former top aide to the crown prince, Saud al-Qahtani, while investigations continue over his role. The order to repatriate Khashoggi had come from former deputy intelligence chief General Ahmed al-Asiri. The U.S. sanctioned Saudis are: Saud al-Qahtani; Maher Mutreb; Salah Tubaigy; Meshal Albostani; Naif Alarifi; Mohammed Alzahrani; Mansour Abahussain; Khalid Alotaibi; Abdulaziz Alhawsawi; Waleed Alsehri; Thaar Alharbi; Fahad Albalawi; Badr Alotaibi; Mustafa Almadani; Saif Alqahtani; Turki Alsehri; and Mohammed Alotaibi. Visa records are confidential and Pompeo was not more specific about who the revocations would affect, but the State Department later said 21 “Saudi suspects” would have visas revoked or would be declared ineligible to enter the U.S.
Major General Ahmed al-Asiri was fired as the deputy head of the Saudi intelligence services, fingered by the royal household. Saud al-Qahtani; His biography on Twitter changed in recent days from royal adviser to chairman of the Saudi Federation for Cybersecurity, Programming and Drones. He was not believed to be under arrest. The audio of Qahtani Skype call is now in the possession of Turkish President Tayyip Erdogan. The sources say he is refusing to release it to the Americans. The U.S. military carries out drone strikes in Yemen from its base in Djibouti, while the CIA flies armed drones from a separate base in Saudi Arabia. It is hard to argue that a remote, heavily guarded air base would have been at serious risk of compromise or terror attack. Nor would the Saudi state have been jeopardised. The argument presented to the Washington Post and others seems mainly designed to save the Kingdom of Saudi Arabia from embarrassment, rather than save American lives. Any military cooperation by the royal family with the US rankles influential conservative clerics. In further fighting in Sanaa on December 2, explosions and gunfire were concentrated in the southern suburb of Hadda where relatives of Mr Saleh live. The Saudi coalition bombed Houthi positions in Sanaa on December 3, with the aim of supporting Mr Saleh’s forces. Ali Abdullah Saleh,, former president of Yemen has suggested that he is open to talking to the Saudi-led coalition that his forces have been fighting for years. Clashes between Mr Saleh’s forces and Houthi fighters broke out on November 29. The Houthis are backed by Iran but have been his allies against the internationally-recognised government since 2014. There were reports of further fighting on the streets of the capital, Sanaa, on December 2. Explosions and gunfire were concentrated in the southern suburbs of the city, where relatives of Mr Saleh live.Mr Saleh’s General People’s Congress (GPC) party said four people were killed in fighting at the main mosque in the capital, Sanaa, on November 29. On November 25, Houthi leader Abdul Malik al-Houthi appeared to accuse Mr Saleh’s supporters of failing to “understand the concept of alliance and partnership”. It came after the GPC referred to Houthi fighters as “cartoonish mercenary things”. The Houthis, who champion Yemen’s Zaidi Shia minority, fought a series of rebellions against Mr Saleh between 2004 and 2010. It also supported an uprising in 2011 that forced Mr Saleh to hand over power to Mr Hadi, then his deputy. Mr Saleh’s supporters formed a surprise alliance with the Houthis in 2014, when they seized Sanaa amid widespread disillusionment at the political transition and Mr Hadi’s failure to tackle corruption, unemployment and food insecurity. In early 2015, the allies ousted Mr Hadi, forcing the president to flee initially to the second city of Aden and then to Saudi Arabia. The Saudi-led coalition responded by launching a military campaign to restore Mr Hadi’s government. New Yakla raid, which included helicopter gunships and armed Reaper drones, targeted al-Qaeda leaders. U.S. forces killed dozens of ISIS members in a strike on two Islamic State of Iraq and Syria training camps today in Yemen’s al Bayda governorate. Reports indicated that about 50 “Islamic State (IS) fighters were killed in two airstrikes, both manned and unmanned. Unmanned U.S. drones launched around 12 missiles at militant positions in Yakla and al-Abl in southern al-Bayda province. 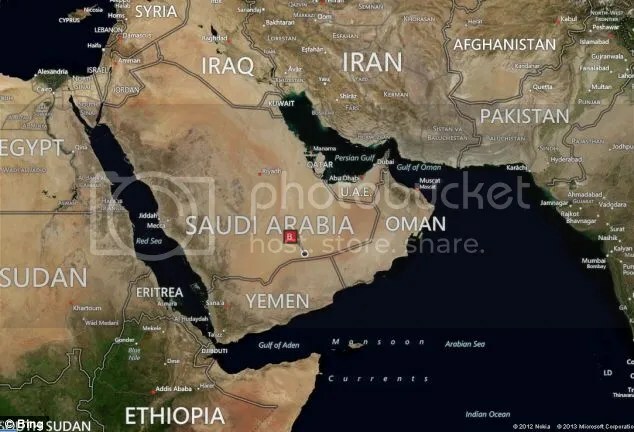 The US military said it killed 14 members of al-Qaeda in the Arabian Peninsula (AQAP) on January 30 in a dawn raid in the province of al-Bayda Yemen that involved missiles and helicopter machine guns. In a statement, the Pentagon did not refer to any civilian casualties, although a US military official, speaking on condition of anonymity, said they could not be ruled out. The official also said that one US Navy Seal died, three others were wounded and that military forces did not take any prisoners from the site, and the strike was not one that was originally ordered by former President Obama. It involved ‘boots on the ground’ at an al Qaeda Camp near al Bayda in south central Yemen. An eight-year-old died two hours after being shot, Nora, the daughter of Anwar al-Awlaki, an American al Qaeda leader, born in New Mexico, who was killed in a US strike ordered by President Obama five years ago. 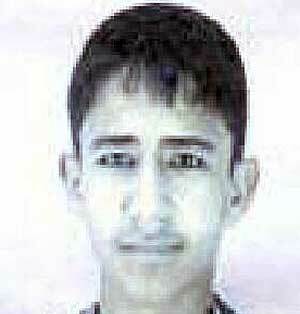 Al-Awlaki, who was born while his father was a graduate student in the United States, moved to Yemen and became a prodigious propagandist The girl’s grandfather, Nasser al-Awlaki, Yemen’s former agriculture minister identified his granddaughter as the dead girl from a photo taken at the scene of the raid but based his description on what happened at the camp on conversations with what he characterized as Yemeni sources. “My granddaughter was staying for a while with her mother, so when the attack came, they were sitting in the house, and a bullet struck her in her neck at 2:30 past midnight. Other children in the same house were killed,” al-Awlaki said. He said the girl died two hours after being shot. The child’s mother, Anwar al-Awlaki’s widow, survived the raid with a minor woun., Anwar al-Awlaki’s brother-in-law was killed in the raid. The raid, said the official, was directed from a U.S. base in Djibouti, across the Gulf of Aden from the southern tip of the Arabian peninsula and the western edge of Yemen. United States was searching for “information that will likely provide insight into the planning of future terror plots.” Nawar’s father, Anwar al-Awlaki was killed by a drone on Sept. 30, 2011, not far from Sunday’s raid. The U.S. Justice Department had approved killing him in a memorandum that was disclosed in 2014. The memo concluded, “We do not believe that al-Awlaki’s U.S. citizenship imposes constitutional limitations that would preclude the contemplated lethal action” by the U.S. military or the CIA. Target information for middle eastern drone strikes may be acquired in Britain. Around a third of all US military communications in Europe already pass through Croughton, which has a direct cable link to GCHQ, the intelligence services’ giant listening hub at Cheltenham. A high-speed fibre-optic line connects the base to Camp Lemonnier in Djibouti, from where the US flies drones that target terrorist groups in Somalia. The military’s portrayal of an overworked, underfunded drone program needed to be taken with a grain of salt. It was part of a well-documented military turf war with the CIA, which has its own, supposedly more careful drone program. The “baseball cards” are detailed profiles of each potential target. It took on average 58 days for President Barack Obama to sign off on striking a target, giving 60 days for the strike to be carried out. it takes an average of six years to determine whether someone in Somalia is a target but just a little over eight months to kill that person after President Barack Obama had added the name to the kill list. Since the Obama administration largely shut down the CIA’s rendition programme, choosing instead to dispose of its enemies in drone attacks, those individuals who are being nominated for killing have been discussed at a weekly counter-terrorism meeting at the White House situation room that has become known as Terror Tuesday. Barack Obama, in the chair and wishing to be seen as a restraining influence, agrees the final schedule of names. Once details of these meetings began to emerge it was not long before the media began talking of “kill lists”. A colonel and a captain, from an elite unit of Iran’s Revolutionary Guards , were seized in two different districts rocked by heavy gun battles. “They are from the Quds Force and are working as advisors to the Houthi militia,” one of the militia sources said. Three sources in the southern Yemeni city of Aden’s anti-Houthi local militias confirmed. The Quds Force (also spelled Ghods or Qods) (Persian: نیروی قدس‎ Nīrū-ye Qods or سپاه قدس Sepâh-e Qods), in English: the Jerusalem Force, is a special forces unit of Iran’s Revolutionary Guards and is responsible for their extraterritorial operations. The situation in Aden in particular is “catastrophic”, a descent into urban warfare, with control of the air and seaports shifting daily between rival groups.10 April 2015. The joint Arab force provides a formula for broadening the Egyptian-Saudi relationship, now essential for both countries, into an Arab arrangement. The Saudi vision is for using the Arab force in the growing chaos in Yemen, while the Egyptian vision is for using it in the growing chaos in Libya. For most others outside the Gulf Cooperation Council, the pan-Arab effort is about reaping economic and political rewards. That may be enough to make it work. Egyptian President Abdel Fattah al-Sisi has something to lose: If he sends troops to a futile war in Yemen, a comparison to Egypt’s former popular leader Gamal Abdel Nasser, which Sisi has sought to cultivate, could come back to haunt him. For Nasser’s 1960s intervention in Yemen was a failure. Riyadh’s biggest worry is Iran’s expanding political influence in Arab lands, especially in its neighborhood. That competition is, at its core, not sectarian. The Saudis do worry about the rise of Iranian-backed Shi’ite Arabs. But what they have discovered is that sectarianism can also nurture the type of Sunnis who want the Riyadh regime’s demise even more than some of the Shi’ites do. Sun Apr 5, 2015 U.S. and allied forces conducted 15 air strikes in Syria and Iraq against Islamic State militants during the past 24 hours, the combined joint task. Three of the strikes, part of a continuing operation against Islamic State, targeted militants in Syria. Twelve strikes were aimed at targets in Iraq, including five near the city of Mosul, the joint task force said in a statement. President Barack Obama will resume military shipments and aid to Egypt in an effort to improve relations since imposing an arms freeze in October 2013. The United States will supply Egypt with 12 F-16 fighter jets, 20 Harpoon missiles and up a to 125 M1A1 Abrams tank kits. The delivery of the military equipment was suspended after a military-backed coup ousted former Egyptian President Mohammed Morsi. Obama spoke with Egyptian President Abdelfattah al-Sisi on March 31. Obama told a-Sisi that he will continue the request of an annual $1.3 billion in military assistance to Egypt. The warplanes are part of a deal the United States and Egypt reached in 2009 for the delivery of 20 F-16 C/D fighters during 2013. The first batch of aircraft were delivered. 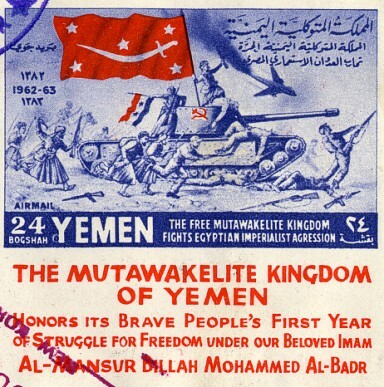 January 26th, 1963: With a sharp increase of Russian and Soviet bloc personnel, An Egyptian expeditionary force–put at between 12,000 and 15,000–fought a savage guerrilla war in north and east Yemen against tribes loyal to the Imamate who will not accept the republican couip d’etat by which Sallal overthrew the royalist government. These Egyptian forces–Nasser’s crack combat units–were trained for desert not for mountain warfare. Their expensive equipment, their Soviet-built tanks, armored personnel carriers and Ilyushin jet bombers, are not ideally suited for operations in the crazy maze of narrow defiles and boulder-strewn mountains of northern Yemen. 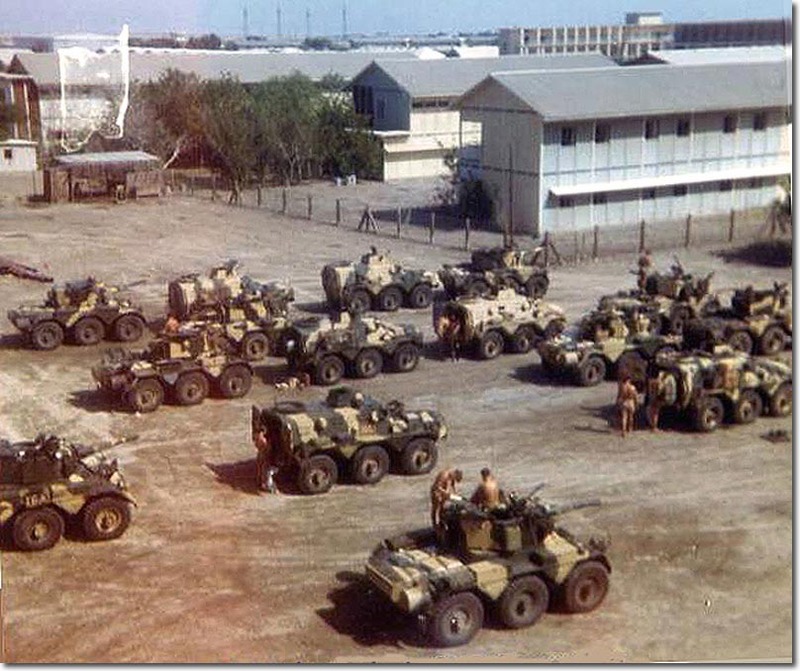 British mercenaries fighting with the royalists were “a private enterprise.” Withdrawal of U.A.R military forces began as of 23 November 1965 and be completed by 23 September 1966. The result was a shattering military and diplomatic setback to the U.A.R. The Yemen civil war officially ended with the Compromise of 1970, a political agreement between the republican and royalist factions. A republican government was formed in Yemen, incorporating members from the royalist faction but not the royal family. “The Arab leaders have decided to agree on the principle of a joint Arab military force,” at a Sharm el-Sheikh summit, said hosting Egyptian President Abdel Sisi . The summit final communique called for “coordination, efforts and steps to establish an unified Arab force” to intervene in countries such as Yemen. The Egyptian leader said a high-level panel will work out the structure and mechanism of the future force. The work is expected to take four months. Pakistan and Egypt announced their participation in the ongoing Saudi-led military campaign against Yemen Houthi-allied forces with air and naval forces, The UAE, Kuwait, Bahrain, Qatar and Jordan have also deployed fighter jets to join the Saudi air force in the ongoing air campaign. 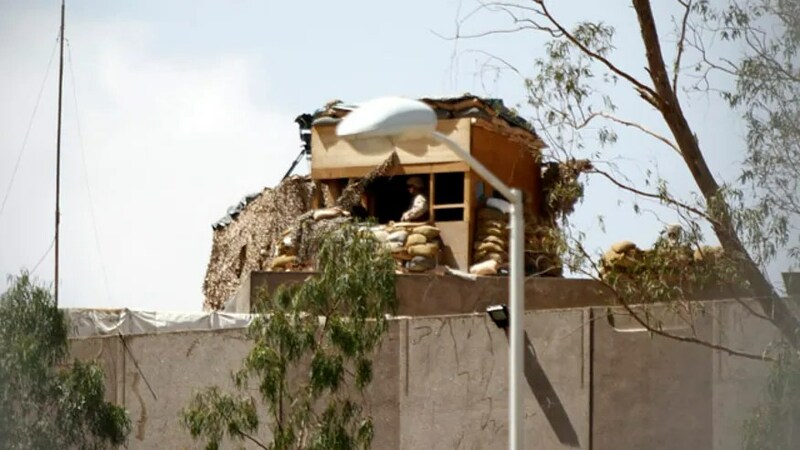 A group of U.S. military forces, including Special Forces commandos, have evacuated an air base after al-Qaida seized the southern city of al-Houta.nearby .There are about 100 American troops and Special Forces commandos believed to be at al-Annad air base. 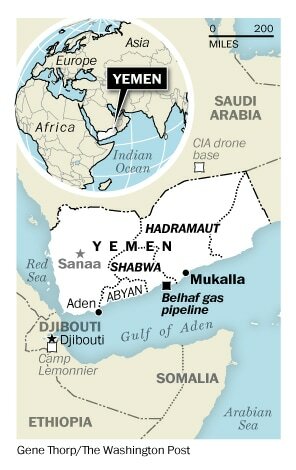 The base is where American and European military advisers help Yemen battle the country’s local al-Qaida branch through drone strikes and logistical support. Intelligence gathering has not been curtailed or has been shifted to other countries. 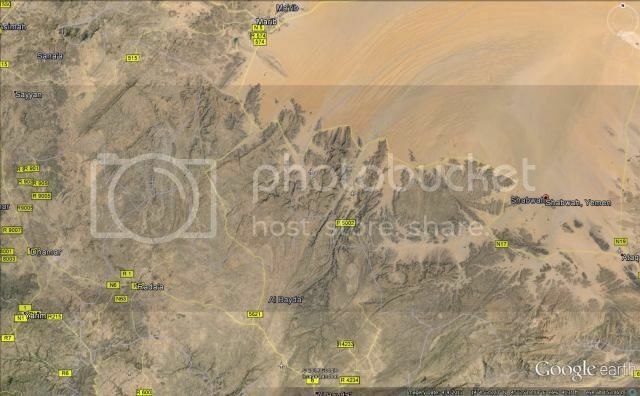 The flight distance from Hodeidah International Airport (HOD)to Djibouti-Ambouli Airport (JIB) is 222 miles (358 kilometers, 193 nautical miles). Estimated flight time is 0 h 55 min. 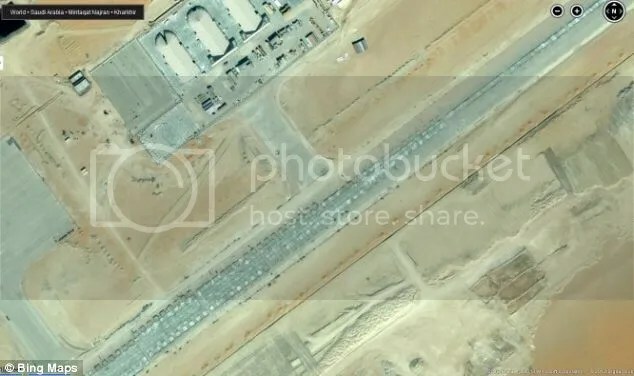 According to a press report in October 2012, “Camp Lemonnier[situated at Djibouti’s Djibouti-Ambouli International Airport] is the centerpiece of an expanding constellation of half a dozen U.S. drone and surveillance bases..”. A drone crashed in the mountains of Al-Saha village,Baihan district, Shabwa, southeast of Sana’a. 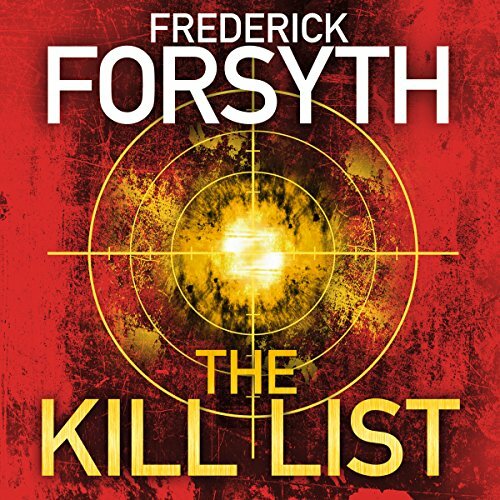 The drone had been hovering over the village on and off for the preceding ten days. Shortly after the incident, two other drones could be seen hovering over the same area. The White House insisted September 29 that the U.S. counterterrorism strategy in Yemen is a model for the fight against the Islamic State. But in light of violence against the Yemeni government, the United States is “stepping up efforts” to pursue sanctions against the perpetrators. A deal calls for the formation of a new government within a month. But the Hawthis and their rivals have thus far failed to agree on a new prime minister. The new agreement would grant the Hawthis some executive power as it stipulates that the president name two advisers, one from the Hawthis and one from the southern separatist movement. Under the UN-brokered deal, a new government will be formed and the Houthis and southern separatists will nominate a new prime minister. Takeover of key parts of the capital, Sanaa, termed a “successful revolution”. The Houthis belong to the minority Zaidi Shia community. They have staged periodic uprisings since 2004 to win greater autonomy for their northern heartland of Saada province. Hawthi Shiite rebels chant slogans during a demonstration demanding the government to step down in Sanaa, Yemen, Friday, Sept. 19, 2014. Shiite rebels and Sunni militiamen battled in the streets of the Yemeni capital for a second day Friday in fighting that has killed at least 120 people, driven thousands from their homes and virtually shut down the country’s main airport. The battles are raising fears of greater sectarian conflict, unseen for decades in Yemen. The Shiite rebels known as the Hawthis have become one of the country’s most powerful players. They have surged from their stronghold in the north, taking a string of cities and have fought their way to the capital, Sanaa. The are allied with Shiite-led Iran . Their main opponents have been Sunni Muslim hardliners – militias and army units allied with the Islah party, which is the Muslim Brotherhood’s branch in Yemen, or tribal fighters sympathetic with the Brotherhood or al-Qaida. The government of President Abed Rabbo Mansour Hadi, an ally of the United States, appears largely caught in the middle between the two forces. a stone’s throw from the US Embassy grounds, near the intersection of the Ring Road on what locals call Sheraton Street. Two officers at the U.S. Embassy in Yemen shot and killed a pair of armed Yemeni civilians during an attempted abduction of the Americans at a Sanaa barber shop on April 24. A CIA officer and a lieutenant colonel with the elite Joint Special Operations Command were simply getting a haircut in an upscale district in Yemen’s capital. “Yemeni attackers approached the barbershop while one of the Americans was inside. A second armed American was a couple of metres away in the vehicle. Both Yemenis were shot by the American waiting outside the shop.”. 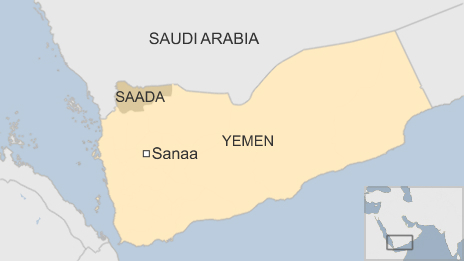 A ministry spokesman had said the two Yemenis killed were linked to Al Qaeda. Al Qaeda has increased kidnappings to finance their operations. Both Americans have left Yemen. Behind the Sheraton’s Disneyesque two-story front gate, security cage and walls lie 15 acres with verdant irrigated gardens, an outdoor swimming pool and cabanas, a gymnasium, tennis courts, restaurants serving flown-in Chinese and Mediterranean cuisine, well-stocked liquor cabinets, 255 guest rooms, additional premier suites, cleaning services, meeting facilities, a business center, 30 in-house cable television channels available 24/7, high-speed Internet, vehicle repair garages, security cameras, stations and personnel, and temperamental water supply and heating/cooling systems. As of January 1, 2013, all of this is under new management: the US Department of State. Starwood Hotels, a worldwide chain that manages Sheraton, Westin and other five-star properties, discontinued operations in Sanaa, Yemen’s capital, at the end of 2012. 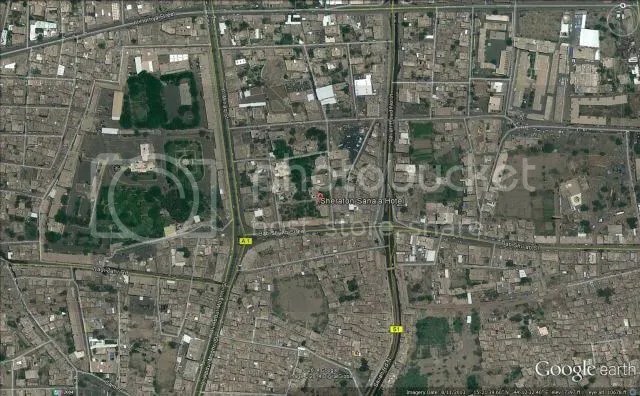 The listed owner, the Kuwaiti Investment Authority, leased it to the State Department so that State could provide secure, comfortable lodging just a stone’s throw from the US Embassy grounds, near the intersection of the Ring Road on what locals call Sheraton Street. “It’s a dump. It screams 1959.” The embassy took over the hotel last year as demonstrations to unseat the then- president, Ali Abdullah Saleh, turned violent. Diplomats are now shuttled from the hotel to the embassy, which is nearby, and otherwise don’t get out much unless they’re on official business. Two militants have been killed in a suspected US drone strike in southern Yemen, officials and witnesses say. Two other militants were reportedly wounded when the vehicle in which they were travelling was destroyed near al-Askariya in Lahij province. Three suspected al Qaeda militants were killed by a U.S. drone strike in Yemen’s southern province of Lahj, two local security officials told CNN on Saturday. Two others were injured in the Askariayah district strike, one of whom was critically injured, the officials said. A second vehicle in the same area carrying suspected militants escaped undamaged after a strike missed its target. Sana’a, Aug 11: At least five suspected al-Qaida militants were killed Saturday evening when US drone strikes hit their vehicles in Yemen’s Lahj province, an official said. The suspected terrorists were killed when an air raid targeted their convoy of two pick-up trucks in the eastern suburbs of Lahj province, Xinhua reported citing a security official. 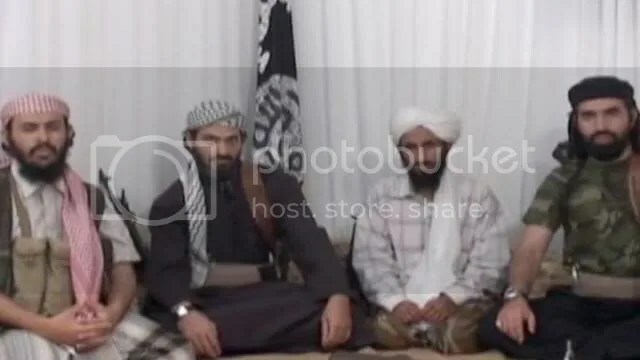 al-Qaida leaders include Nasser al-Wahishi, a onetime aide to Osama bin Laden; Qassem al-Raimi, believed to be the military commander; and Ibrahim al-Asiri. Five suspected al Qaeda militants were killed in an air strike in eastern Yemen on July 9, a U.S. drone fired the missiles. The men were attacked while they were travelling in a vehicle in the province of Hadramout in an area called Ghail Bawazeer, 45 km (28 miles) from the provincial capital Mukalla. Aug. 9, 2013 at 7:07 AM. At least 14 suspected al-Qaida militants in Yemen were killed in three drone attacks. 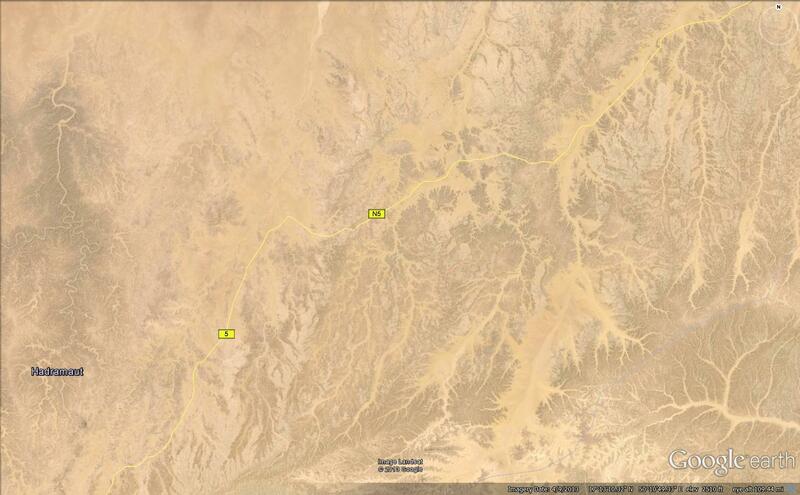 A drone attack killed four suspected militants in Wadi al-Jadd in the southern province of Hadramout. In two other attacks in Marib and Hadramout provinces, 10 suspected militants were killed, Seven people died in a drone attack July 7. First reported drone attack on August 9 hit a car carrying suspected militants in the district of Wadi Ubaidah, about 175 kilometers (109 miles) east of Sanaa, and killed six, a security official said. Badly burned bodies lay beside their vehicle. Five of the dead were Yemenis, while the sixth was believed to be of another Arab nationality. The second drone attack killed three alleged militants in the al-Ayoon area of Hadramawt province in the south. The third, also in Hadramawt province, killed three more suspected militants in the al-Qutn area. al-Qaida leaders include Nasser al-Wahishi, a onetime aide to Osama bin Laden; Qassem al-Raimi, believed to be the military commander; and Ibrahim al-Asiri. 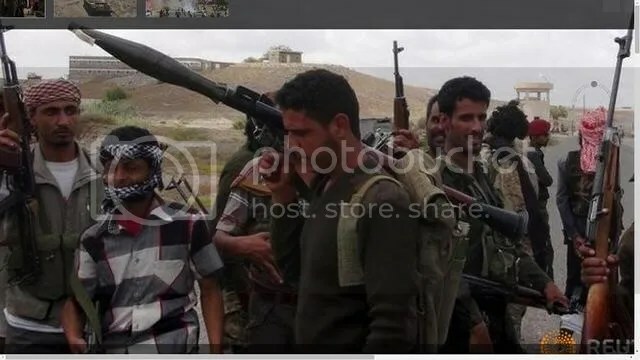 al-Wahishi is believed to be trying to recruit informants in the mountainous areas of Marib in central Yemen, especially in the Wadi Ubaidah valley, where tribal allies of ousted President Ali Abdullah Saleh are concentrated. Abed Rabbo Mansour Hadi became president in 2012 after a year of mass protests demanding Saleh’s ouster. Since then, Hadi has accused Saleh’s men, who are still in key positions in security agencies and municipalities, of trying to hinder his reforms. 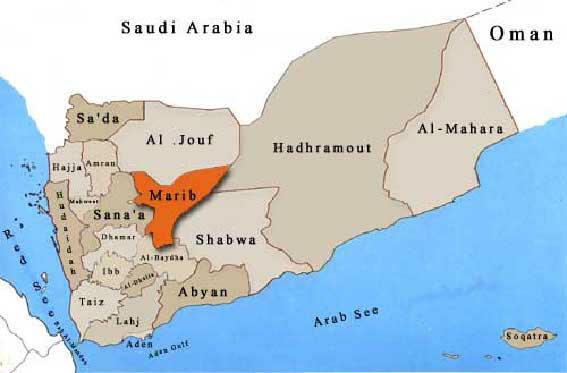 Marib is one of the few places known to be al-Qaida strongholds, and the Yemeni military has not tried to carry out a large offensive there because of the strong presence of anti-government tribes. The official said al-Raimi is believed to be moving in southern Yemen, while al-Asiri is believed to be in the north, close to the border with Saudi Arabia, his home. The CIA resumed drone strikes in Yemen 11 days ago to disrupt al-Qaida’s terrorism plot. The CIA has mounted four drone strikes in Yemen over the past 10 days. U.S. officials said the CIA and the U.S. Joint Special Operations Command, which operate parallel drone campaigns in Yemen, have refrained from launching missiles for several months in part because of more restrictive targeting guidelines imposed by President Obama this year. Those new rules, however, allow for strikes to resume in response to an elevated threat. A few dozen U.S. Special Operations forces have been stationed in Yemen since last year to train Yemeni counterterrorism forces and to help pinpoint targets for airstrikes against al-Qaeda targets in the country. The U.S. military carries out drone strikes in Yemen from its base in Djibouti, while the CIA flies armed drones from a separate base in Saudi Arabia. The CIA and the U.S. military have carried out 16 drone strikes in Yemen this year. Last year, a record 54 strikes occurred. It was a five-missile drone strike had killed four alleged al Qaeda members in Yemen’s central Marib province. The hit targeted a vehicle, turning it into “a ball of fire”, Saleh al Tays al Waeli. among them. Nasser al-Wuhayshi, The head of al-Qa’ida in Yemen, comes from a wealthy family and once served as Bin Laden’s personal secretary in Afghanistan. He was one of 23 prisoners who tunnelled their way out of a maximum-security prison in Sanaa, in 2006. 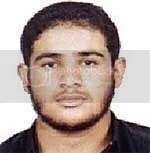 Yemeni military officials claimed to have killed him in August 2011, a claim denied by Aqap. The wanted list confirmed by the editor of Yemen Post, Hakim Alma Mari. A drone strike in Yemen on August 6 struck a vehicle, killing four suspected Al-Qaeda militants. The U.S. military carries out drone strikes in Yemen from its base in Djibouti, while the CIA flies armed drones from a separate base in Saudi Arabia. 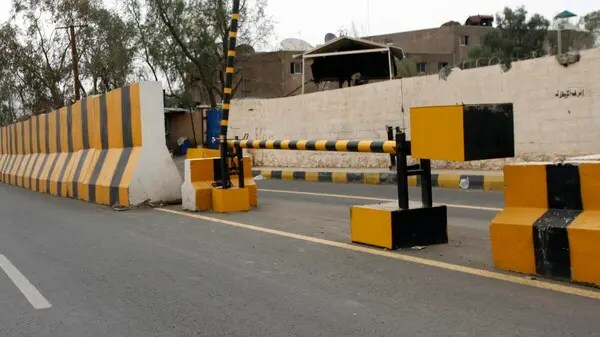 One of the four was on a list released by Yemeni authorities of 25 Al Qaeda operatives suspected of plotting attacks to coincide with the end of the Muslim holy month of Ramadan later this week. a suspected U.S. drone targeted a moving car in the impoverished nation’s Marib province, killing four alleged al-Qaeda militants. It was the fourth drone attack targeting leaders of the group in less than two weeks. One of the dead is believed to be Saleh Jouti, a senior al-Qaeda member. Commentary: the willingness of leading US media organisations not to reveal the location of a CIA drone base for two years raises serious questions about media cooperation with officialdom on national security issues. Would the hunt for him have been adversely affected if the existence of the base in Saudi had been revealed? In June 2010, the C.I.A. began building a drone base in Saudi Arabia to carry out strikes in Yemen. American officials said that the first time the C.I.A. used the Saudi base was to kill Mr. Awlaki in September 2011. The Air Force has been secretly flying armed Reaper drones [General Atomics MQ-9 Reaper (originally the Predator B)] on counterterrorism missions from a remote civilian airport in southern Ethi­o­pia as part of a rapidly expanding U.S.-led proxy war against an al-Qaeda affiliate in East Africa, U.S. military officials said. The Air Force has invested millions of dollars to upgrade an airfield in Arba Minch, Ethi­o­pia, where it has built a small annex to house a fleet of drones that can be equipped with Hellfire missiles and satellite-guided bombs. The Reapers began flying missions earlier this year over neighboring Somalia, where the United States and its allies in the region have been targeting al-Shabab, a militant Islamist group connected to al-Qaeda.It is the home of Arba Minch University and the Southwest Synod of the Mekane Yesus Church. 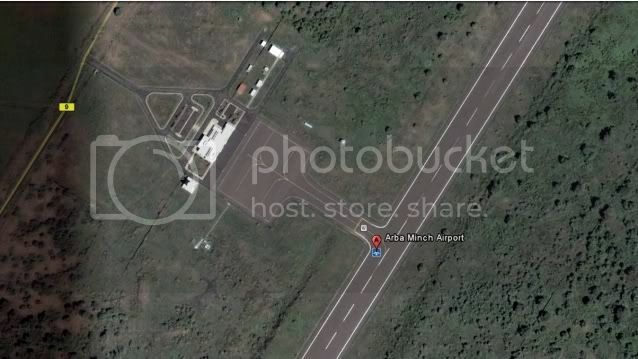 The town also is served by an airport, (ICAO code HAAM, IATA AMH). 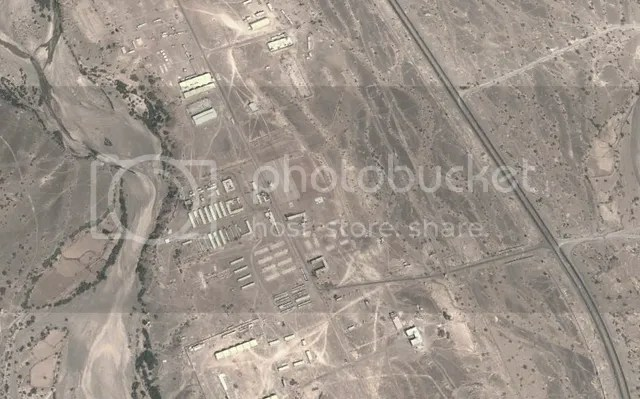 This entry was posted in Uncategorized and tagged Al-Anad base, al-Askariya, arba minch, base in rub al-khali, baseball cards and the kill list, british withdraw, CIA, closed diplomatic mission, drone down shabwa, drones, ethiopia, evacuation, five-missile drone strike, General al-Sisi, Hawthi Shiite, Ibrahim al-Asiri, Iran officers, Islah party, joint Arab force, Joint Special Operations Command, khashoggi, Lahij, Lahj, located, mansour hadi, Mohammad bin Salman, Nasser al-Wahishi, Nora al Awlaki, predator, Qassem al-Raimi, S. withdraws, Saudi Arabia, shabwa, U, U.S. aid Egypt restored, U.S. sanctioned Saudis, USAF, wanted list, Yemen, Yemen 25. Bookmark the permalink.